Dave first visited Sweden in 1984 and after doing a 10 year exchange friendship program with Höllvikens TK. He liked Sweden so much (and his father comes from Swedish background:-)… that he came over to work full time in 1995 with Höllvikens TK whilst still doing his own work as an International Touring Coach. In 2005 he decided to go out on his own and started EuroElite Jr Tennis Development Center. Dave keeps his permanent home in Höllviken, Sweden for the past 24 years. Dave has now started other EuroElite Academies; EuroElite Germany with Michael Andreasson as Director, in Vietnam working with Becamex Tennis and Mexico working with Jorge Olaya at Performance Tennis Academy in Cocoyoc, EuroElite Denmark with Adam Blicher in charge. Coached during EuroElite camps and tours most of the top Scandinavian Players who have gone on to become #1 in their countries and many have gone on to get their ATP Points including the younger years: the Ymer Brothers, Daniel Berta (fd #1 ITF world and French Open Junior Winner), Mikael Torpegaard, Claes Göransson, Filip Bergevi and many more. Only trainer to be give the status as “official national coach” by multiple countries such as Sweden, Denmark, Norway,Finland, Vietnam, Switzerland, England and Ireland. 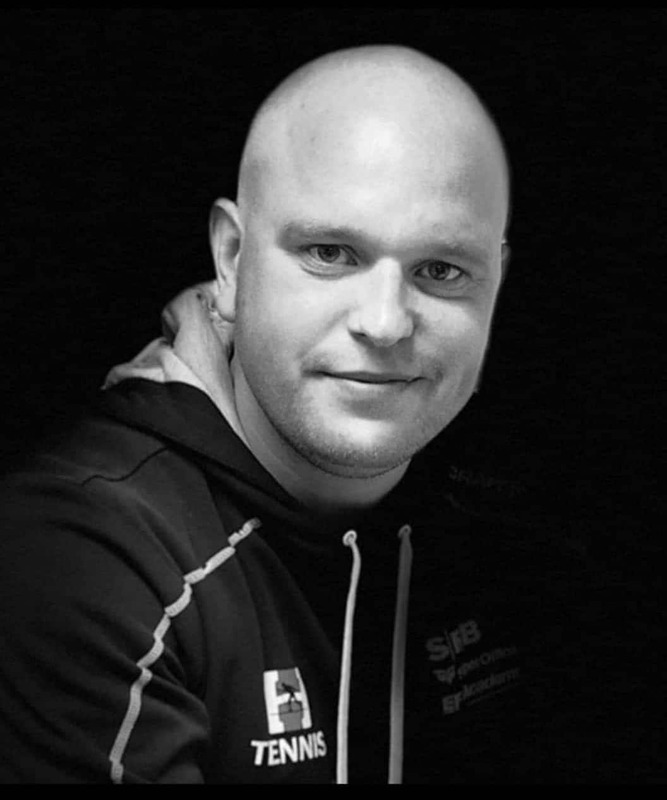 In the 23 years whilst in Scandinavia, Dave has done over 500 Tennis Europe/ITF tours with over 1000+ players! Mentored by former Wimbeldon & US Open Champion and Master Coach Dennis Ralston in the art of tactics, technique and match mentality motivation. Sponsored and recommended by Tennis Legend Björn Borg for developing and coaching juniors to their fullest potential and touring organisation concepts. Nordic Coaches Conference-Copenhagen; Seminar Speaker “Junior Talent Development” June 2017. FIRST AND FOREMOST… EDUCATION AND TENNIS GO HAND AND HAND AT EUROELITE! All of our training concepts are geared to preparing players in the classroom and on the court (as well as off:-) to get a College Education. Competing at the highest university levels in the USA, as a Scholarship Player will THEN the player can go on the ATP Tour when they have that diploma in their hands!! Our NEW COLLEGE PREP PROJECT will fit your player and give them the dream to STAY IN THE GAME!!! So, we are tough, but fair and we look for parents and players who believe that it is a refreshing experience to have our players being “uncomfortable” but still “feeling safe”! Players must break outside the cocoon of the quite comfortable Scandinavian life-style as this is a luxury lifestyle which does not really represent “what is out there”. Also we want players/parenst who will embrace this concept whilst knowing we have an abundantly positive and motivating/competitive safe environment here at Base Camp EuroElite… we give LIFE LESSONS… not just Tennis Lessons and we FILL PLAYERS WITH SELF-CONFIDENCE, INDEPENDENCE AND ACTUALLY THIS GIVES THEM MORE COMFORT!!! FINALLY: Our goal is to COMPLIMENT the club’s programing,,, not to COMPETE with the club. I have structured and taught all our EE Coaches in the art of getting the best stokes out of a player by using breathing techniques, balanced movement, rhythm, focusing and finishing techniques… the grip changes we do not do! This is for the home pro to take care of and we respect totally their territory! Please feel free to drop me an e-mail at dave_phattennis@hotmail.com should you have any questions about tours, weekends or other camps in Sweden/Denmark/Norway/Germany/Czech Republic!.